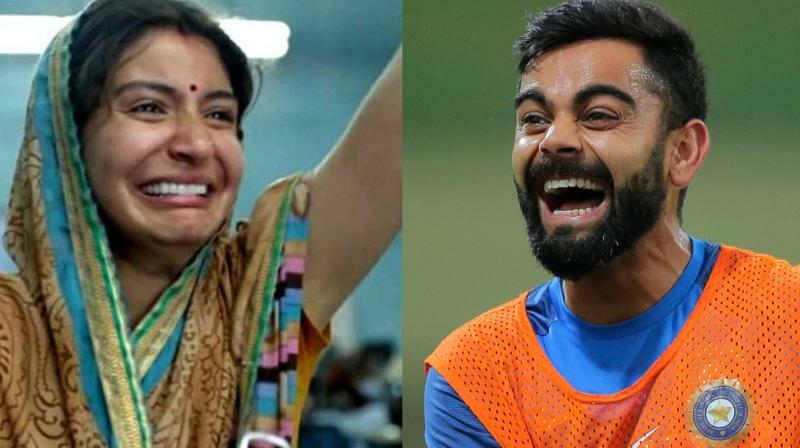 Deccan Chronicle – Mumbai: As soon the trailer of Anushka Sharma and Varun Dhawan-starrer ‘Sui Dhaaga’ was released, a scene, where the ‘Pari’ actor can be seen crying, became viral memes on the social media. Mumbai: As soon the trailer of Anushka Sharma and Varun Dhawan-starrer ‘Sui Dhaaga’ was released, a scene, where the ‘Pari’ actor can be seen crying, became viral memes on the social media. In order to make their posts hilarious; several Twitter users captioned the scene, depicting different is currently in Nottingham cheering for the Virat Kohli-led Indian cricket team as they face England in the second Test. Earlier on Monday, the India skipper notched his 23rd Test century and his second of the five-match series to put the visitors in a consolidate position. ‘Sui Dhaga – Made In India’ is based on the stories of self-reliance and high spirits of the two central characters, Mamta and Mauji, rooted in an earthy town of India. Directed by Sharat Katariya, the love story is slated to hit the screens on September 28.